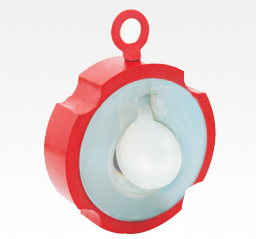 We manufacture fluoro polymer PTFE, FEP, PFA and PVDF lined fluid control Valves & fittings. 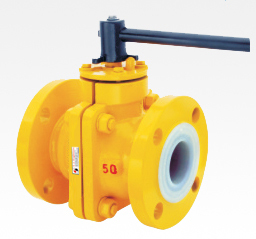 The company manufactures and supplies fluoro polymer lined BALL VALVE, PLUG VALVE, BUTTERFLY VALVE, DIAPHRAGM VALVE, BALL CHECK VALVE, WAFER CHECK VALVE, FLUSH BOTTOM VALVE, PIPES & FITTINGS as per client's specification and design. - BODY SEAT (SLEEVE) LINING : FEP/PFA FROM 50mm TO 200mm, ABOVE 200mm PTFE. - FLAPPER LINING MATERIAL : FEP/PFA. - LINING THICKNESS : 3 TO 5 mm THK. - BODY MATERIAL: S.G. IRON, WCB, CF8 (SS 304) OR CF8M (SS 316) LINED WITH FEP/PFA. - TEST PRESSURE: 8 - 20 KG/CM 2. - DESIGN: SCHEDULE 40, SEAMLESS PIPES. - SIZE: ALL SIZES AVAILABLE.